I spent last week quilting with 5th Graders at Chestnut Hill Academy in Bellevue, WA. It’s been six or seven years since I worked with kids and I was excited to be enlisted. My daughter teaches 5th grade math and science at the school and secured a grant from the PTO to fund this project. 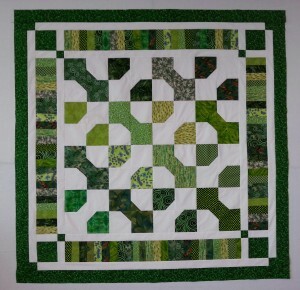 We wanted to involve the kids with as much of the quilt making process as possible which required careful planning and thorough preparation of the materials. 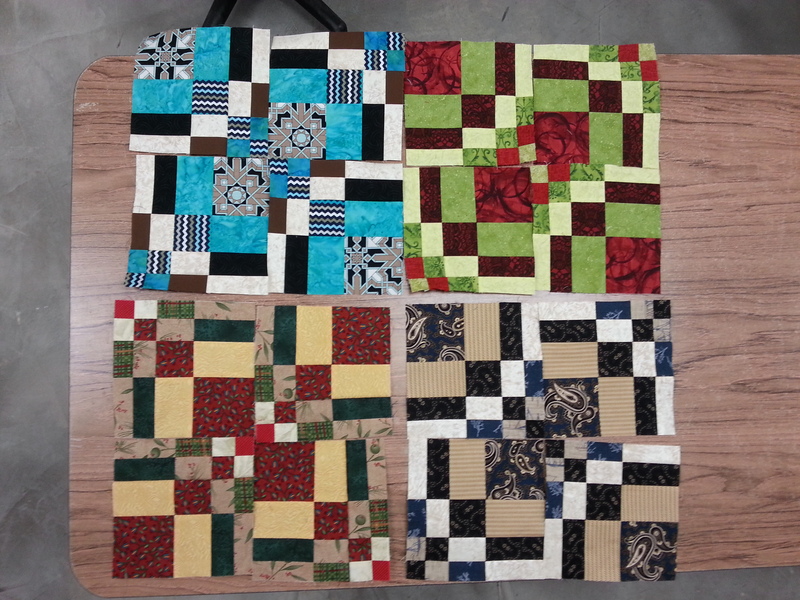 It was an intense week, but great fun and the kids enthusiastically embraced designing their quilts and using the sewing machine. 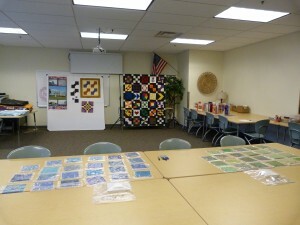 There were two classes, 26 kids in all and we made two quilts. 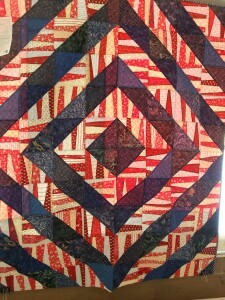 The quilts will be auctioned at a school fundraiser in the spring. 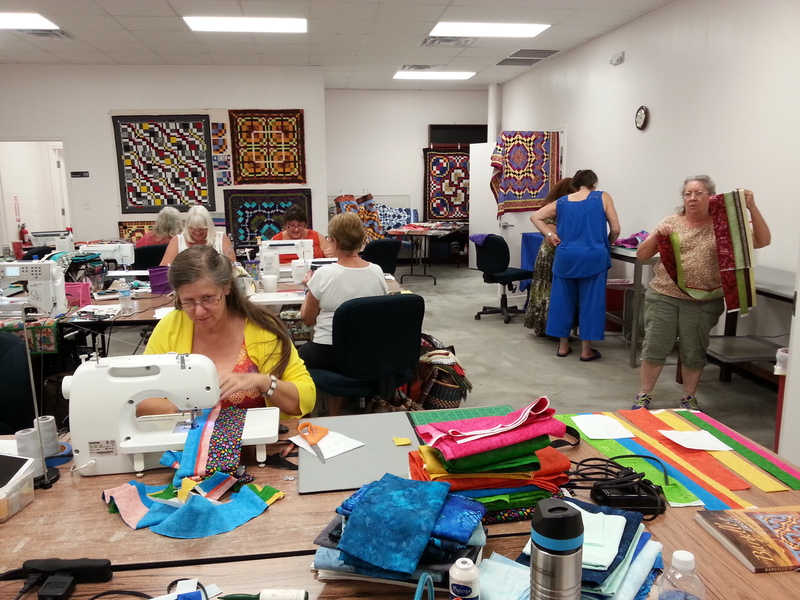 I was assigned a large light room for the week and the kids came for presentations and sewing. Privacy regulations do not allow me to share pictures of the kids, but here’s the classroom and me doing a presentation. 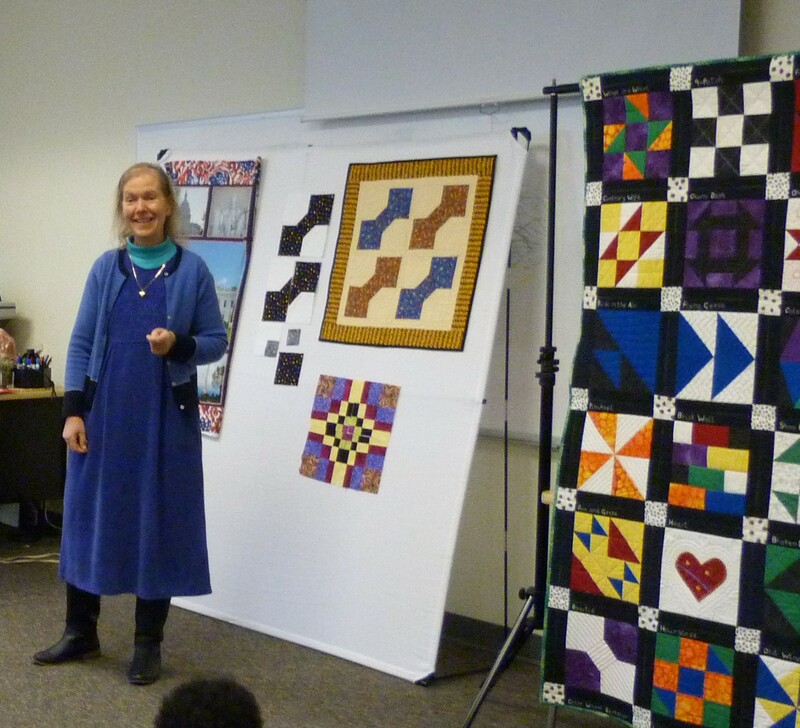 We began with a talk to all the kids about quilting in general with a little bit of history to tie in with their studies of the colonial era. Then each class came in turn for details on their project. 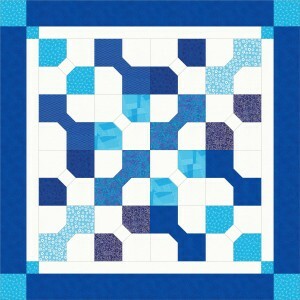 I had chosen the Bowtie block for them to sew and each quilt was to have 16 blocks. 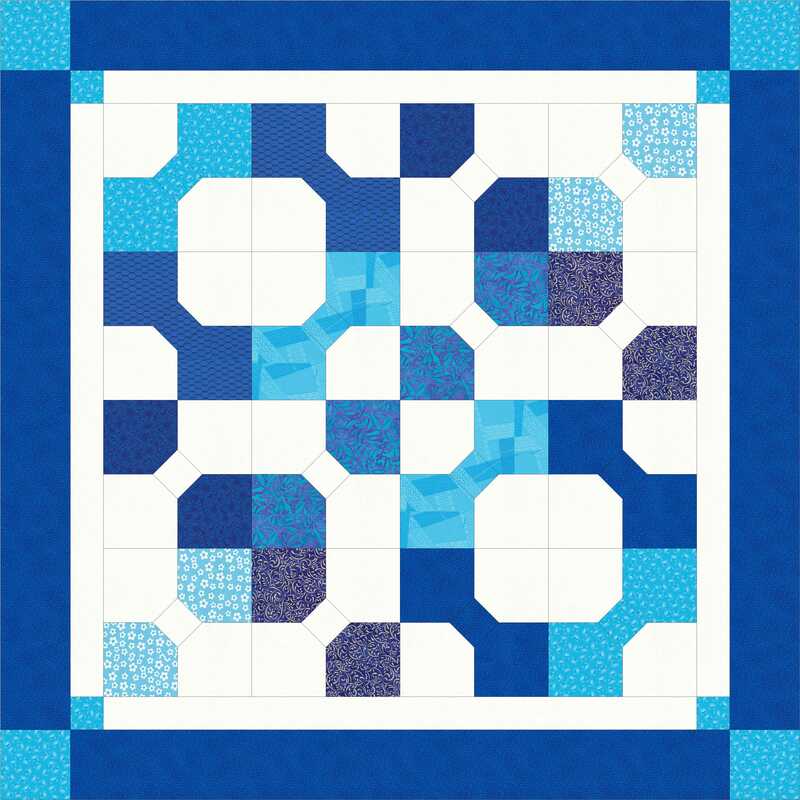 I showed them a PowerPoint presentation of EQ generated patterns depicting a variety of ways to arrange 16 Bowtie blocks. 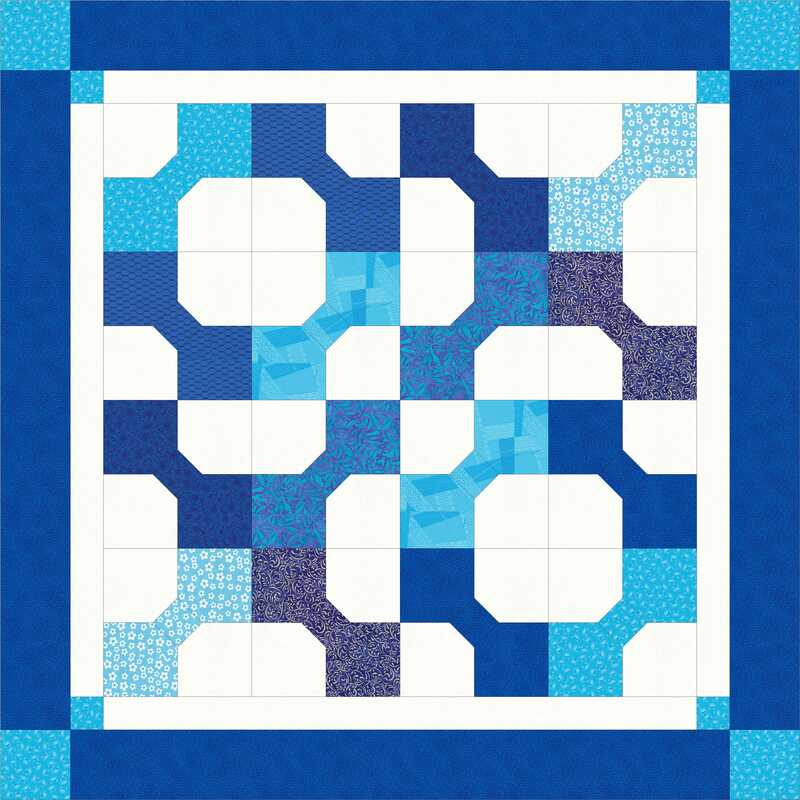 There were choices to be made – should all the Bowties be colored on a light background, should all the Bowties be light on a colored background, or should we make half in half? Here are some examples. The top two show all blue Bowties and all white Bowties and the lower two show half blue and half white. 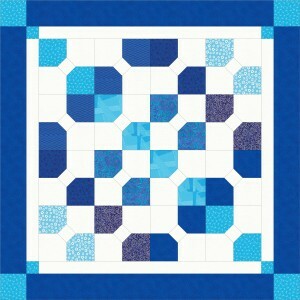 There are many more options for rotating the blocks and designing different patterns. The kids were intrigued by this. 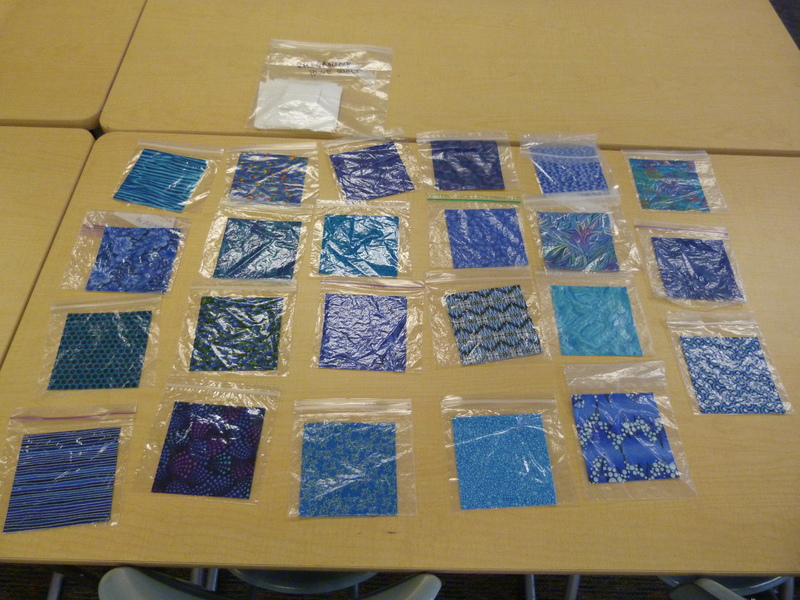 Both classes chose independently to make half colored and half light Bowties for their quilts. After making this decision they chose their fabrics. 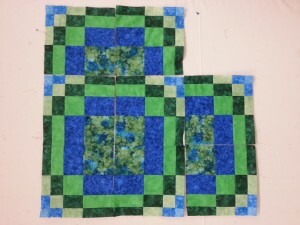 One class did a green quilt and the other did a blue one. 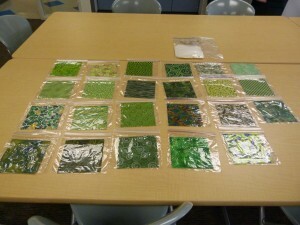 I had prepared packages of pre-cut pieces for the blocks. There were at least 20 of each color, so that the last child to pick still had several from which to choose. 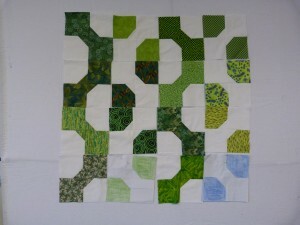 The next task was to sew the blocks. The children came to me in groups of three or four and it took about 45 minutes to complete the blocks. Over half of them had used a sewing machine before, but I had all of them practice sewing on a piece of graph paper to sew along a line and get the feel of how hard to press the pedal to determine the speed. I had two sewing machines and one iron. We always all went to the iron together so that I could supervise. 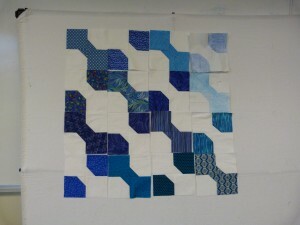 If I do this again, I would probably work with just two at a time and I think we could do the blocks in 20 minutes. 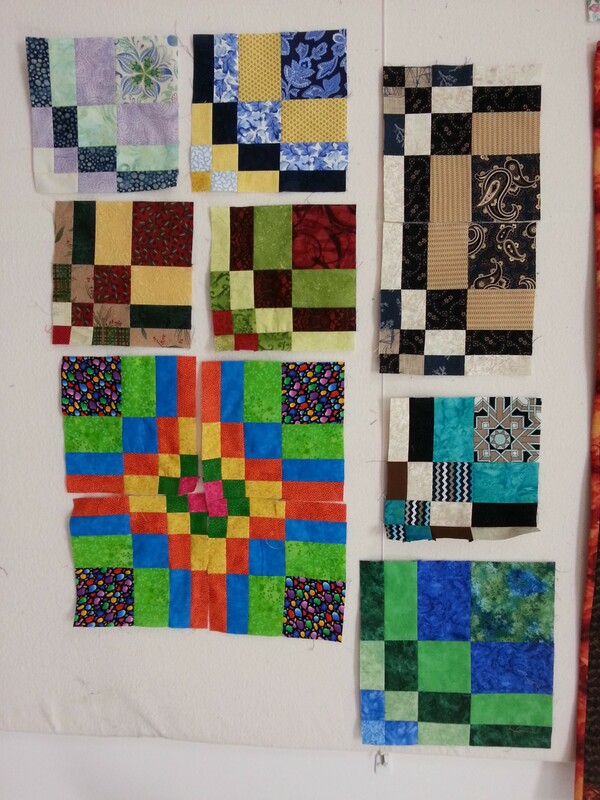 I had a free-standing work wall with 16 of my Bargello blocks so that kids who were waiting for their turn to sew could arrange the blocks into different patterns and they loved this. By Tuesday afternoon (day two), all but four blocks were finished. I colored in paper blocks, so that the two groups could design their quilt layouts. 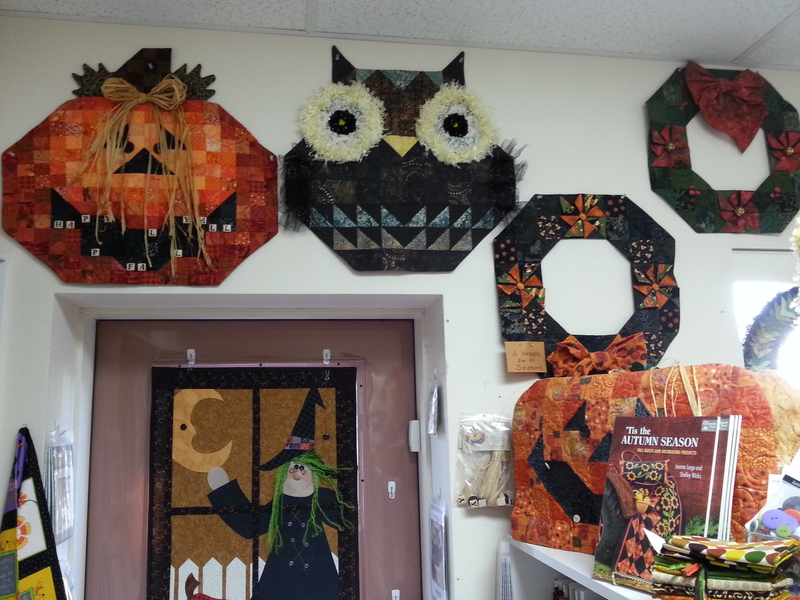 Here are some of the variations they made. 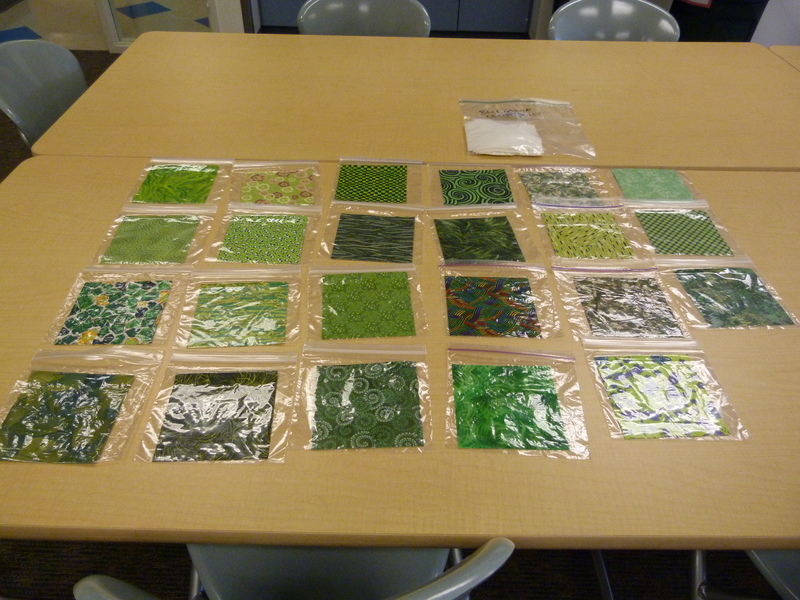 I took digital photos of each variation and then the kids voted (eyes closed so there was no peer pressure). This process took an hour for each class which was longer than anticipated but the kids were mesmerized by the design possibilities and really enjoyed arranging the blocks. 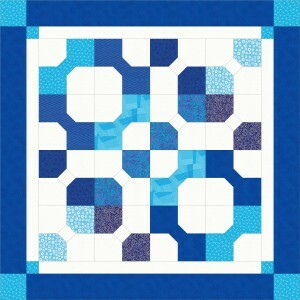 Once the pattern was determined we made some minor changes in the positioning of certain fabrics. 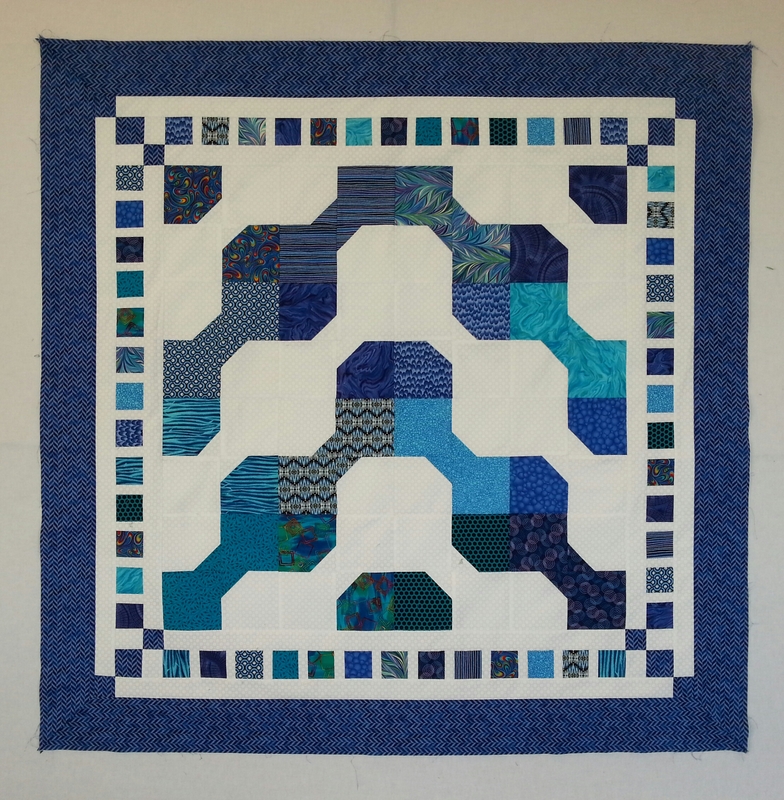 I trimmed all the blocks to 9″ to remove irregularities around the edges and for ease of assembling. The children were fascinated when I demonstrated the use of the rotary cutter (which was put away during their sewing sessions). 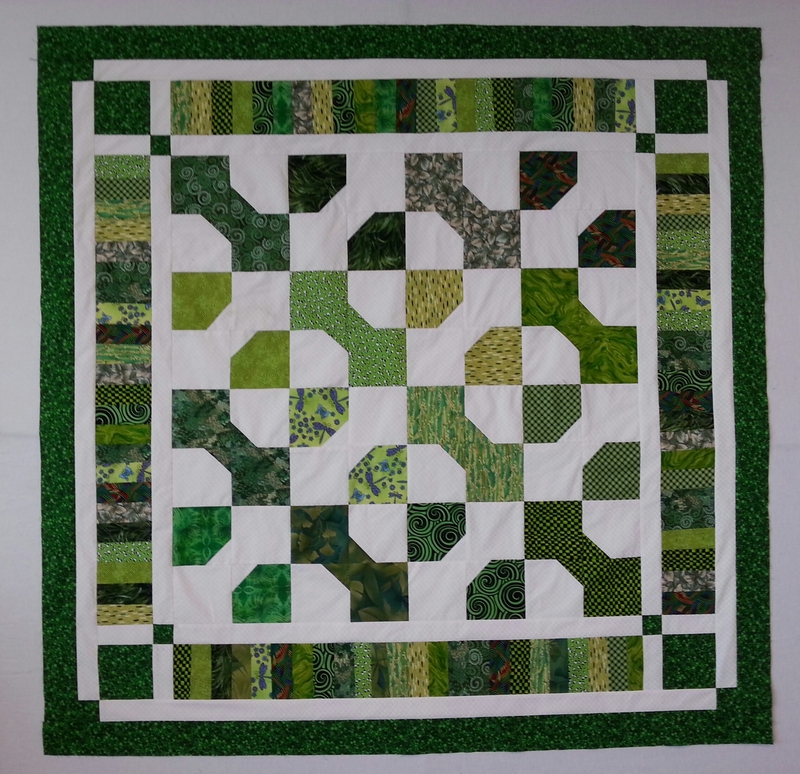 On day three we completed the remaining blocks, and the kids came in pairs to do 10 minutes of sewing of the pieced borders – piano keys for one quilt and stepping stones for the other. Everyone had a turn. 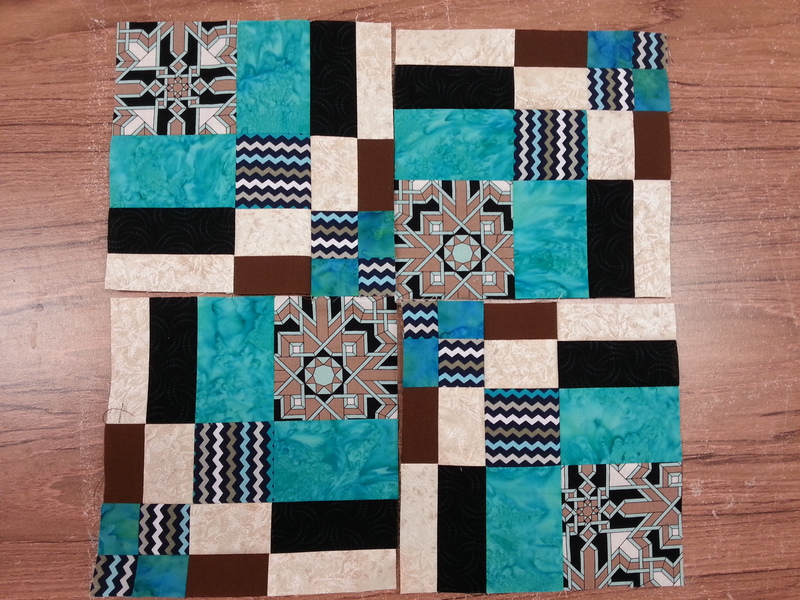 Here are the two quilt tops. They turned out beautifully and I’m so proud of the kids. 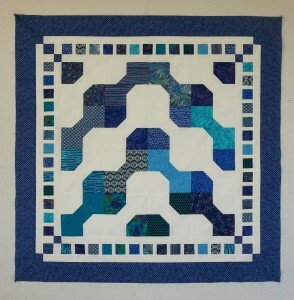 I sewed in the evening of the third day and all day on the fourth day to complete them. 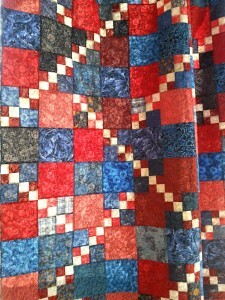 On the evening of the fourth day, we basted both quilts ready for the kids to tie on the final day. 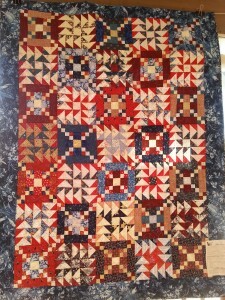 The backs are flannel and quilts are both around 52″ x 52″. It was a marathon, but we did it! Perhaps if I do this again, we would arrange three days at school, then a weekend to complete the tops and baste, and then another day or two at school instead of five days in a row at school. The Bowtie was an excellent choice with just enough sewing and such a variety of options for patterns. 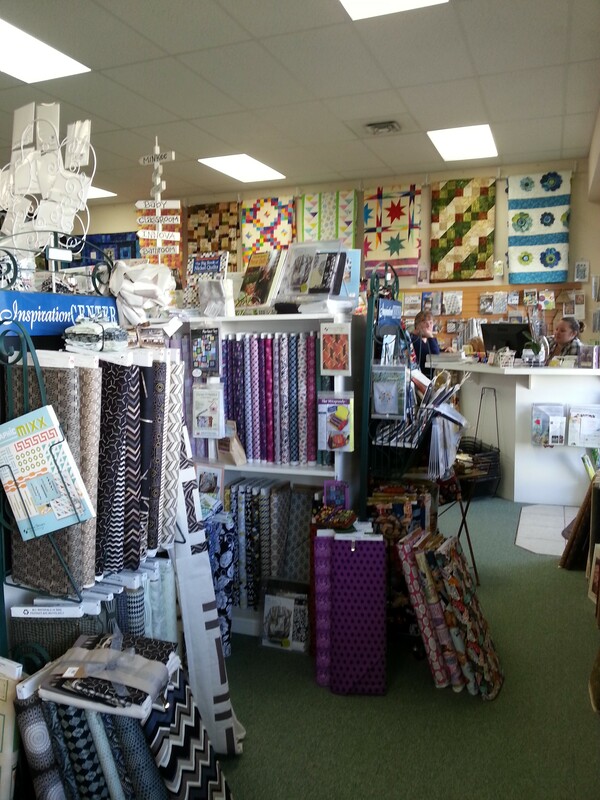 The children came in their class groups to see me demo machine quilting and tying. 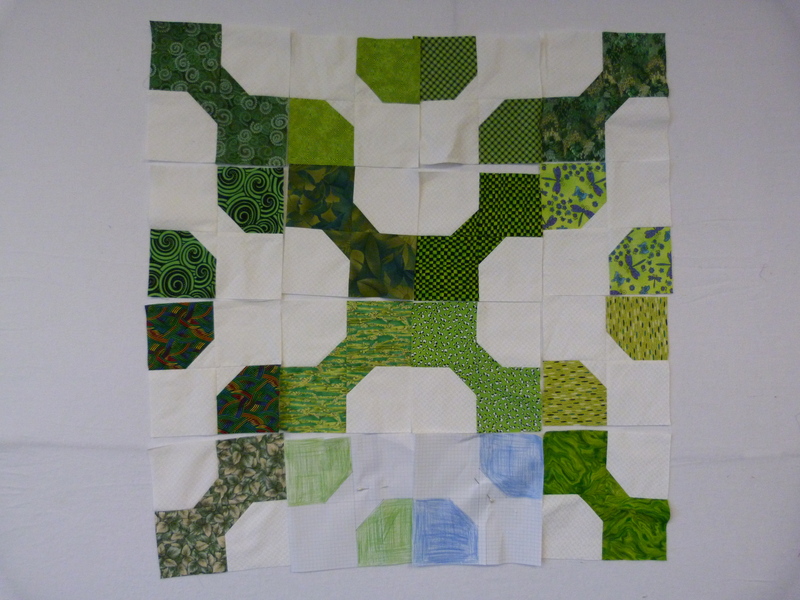 I machine quilted in the ditch between each block on the green quilt. 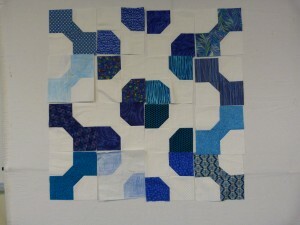 On the blue one, I outlined the blue shapes. 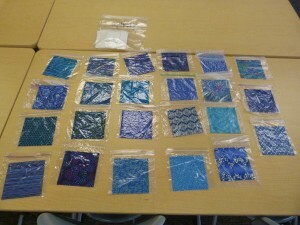 The kids came in pairs for 10 minute sessions to tie four ties in their blocks. 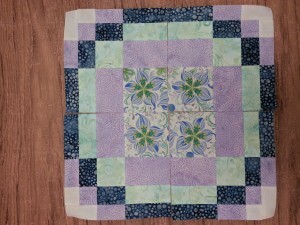 We used variegated pearl cotton. I was concerned that they would have trouble stitching through all the layers to make the ties, but they did really well and all but one did all four ties in the 10 minutes. We had to limit the time, so that everyone got a turn and it worked out fine. 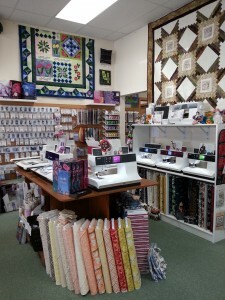 This week I’ve added some more machine quilting to the borders and machine stitched the binding. 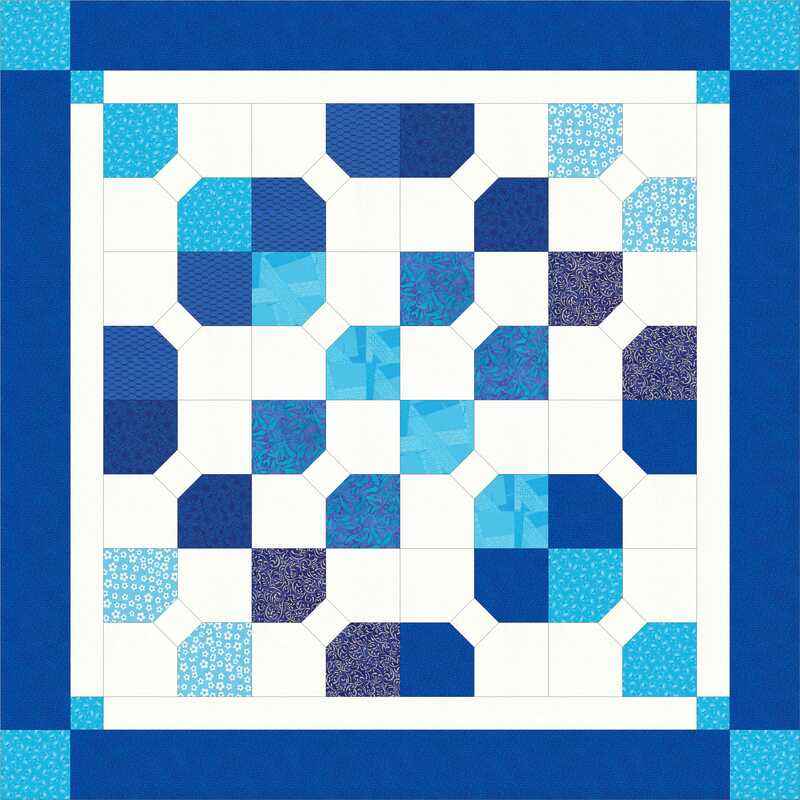 All that is needed to complete the quilts is to hand stitch the bindings to the back and make a label with all the names, date etc. We will also include a picture panel of a scene from Washington DC. In April, the kids fly there for a four day field trip. 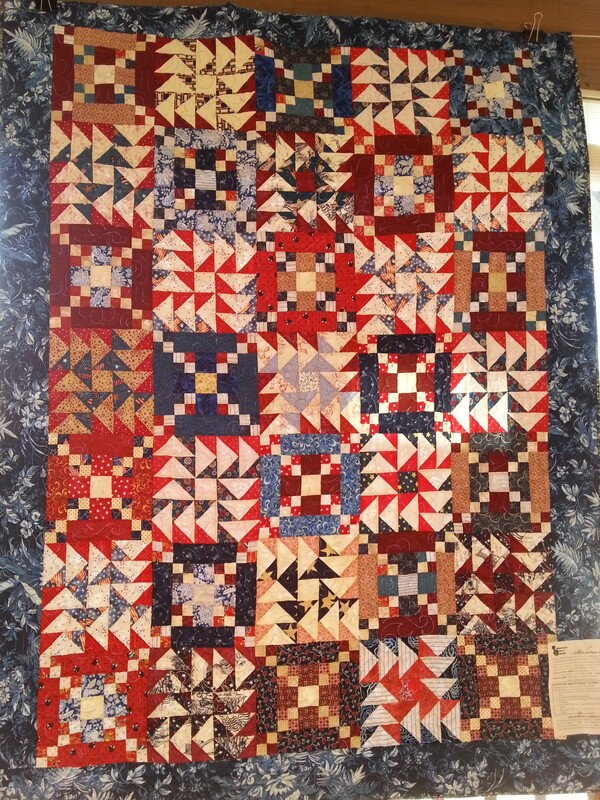 It’s a highlight of being in 5th grade (the top grade in the school) and this will serve as a reminder of this special trip to those lucky enough to take a quilt home after the auction. At the end of September, I traveled from west to east across Washington State to Spokane where I taught. I drove on Interstate 90 until just after I crossed the Columbia River, then I headed northwest to Ephrata and then went along Highway 28 instead of returning to the Interstate. 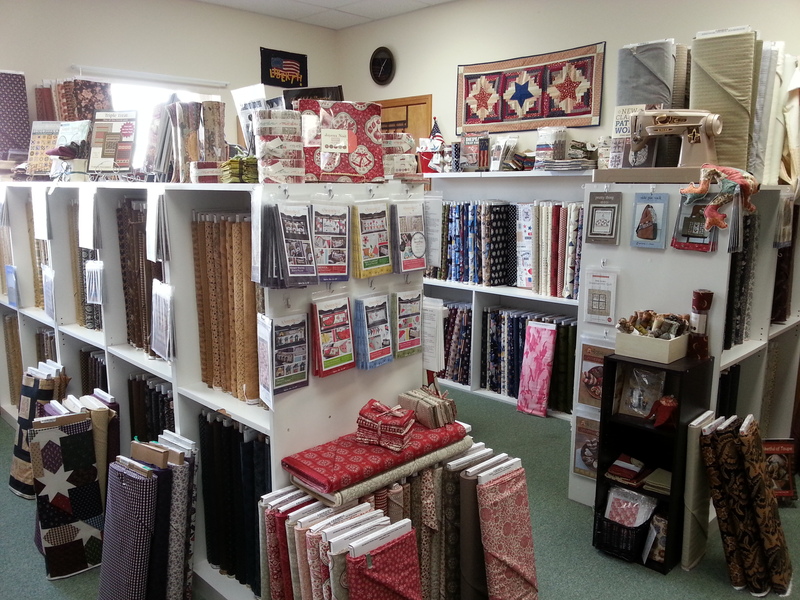 This enabled to visit two quilt shops, one in Ephrata and one in Odessa, as well as to enjoy the interesting countryside which is so different from Western Washington. 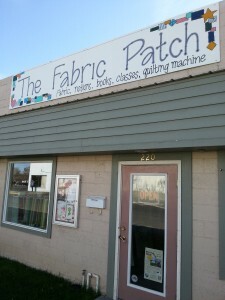 The Fabric Patch, located at 220 10th Avenue SW, was a wonderful surprise. 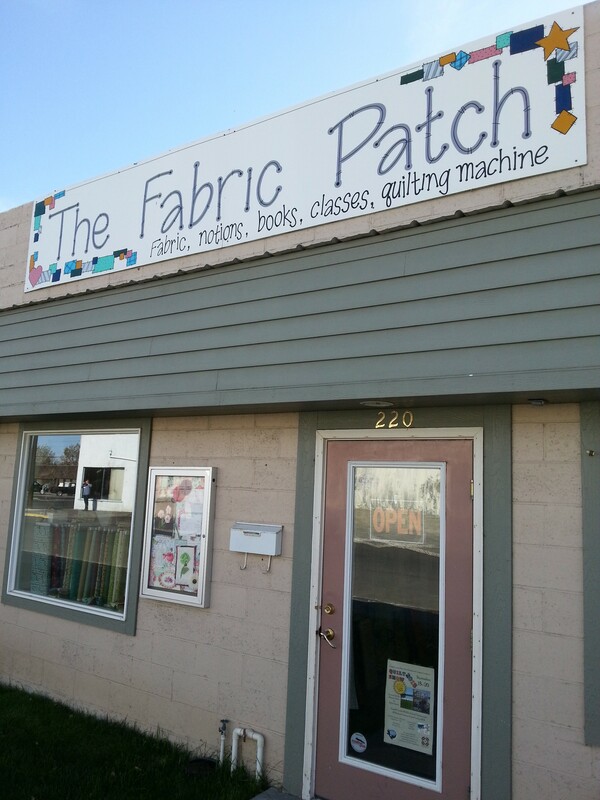 From the outside, it didn’t look like anything special, but inside there was a treasure trove of more and more rooms filled with fabric and quilting supplies. 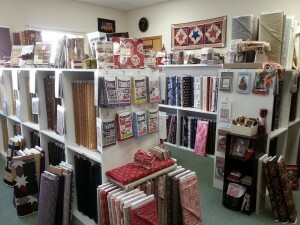 It is the largest shop in North Central Washington with over 6,000 bolts of fabric and a wide selection of notions, books and patterns. 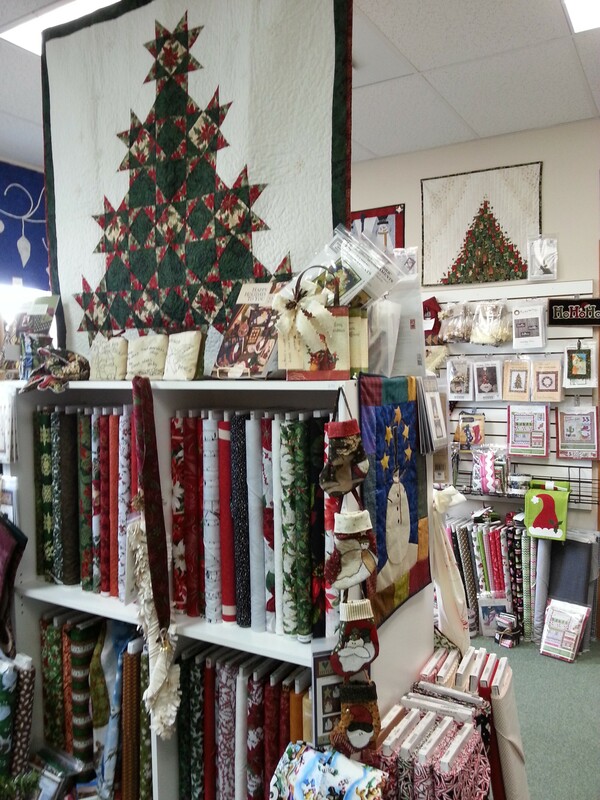 There was a whole room dedicated to holiday fabrics and fun projects including wonderful pieces for Halloween and Christmas. Look at the charming pumpkin, owl and Christmas tree quilts. 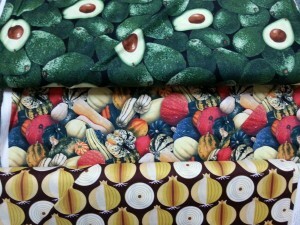 Then there was an abundance of theme fabrics, from sports to animals and more. Here are some great vegetable fabrics. Ephrata is only a 10 miles away from Interstate 90 just north of Moses Lake so it is well worth the detour even if you decide not to opt for Highway 28 for the rest of the journey to Spokane. 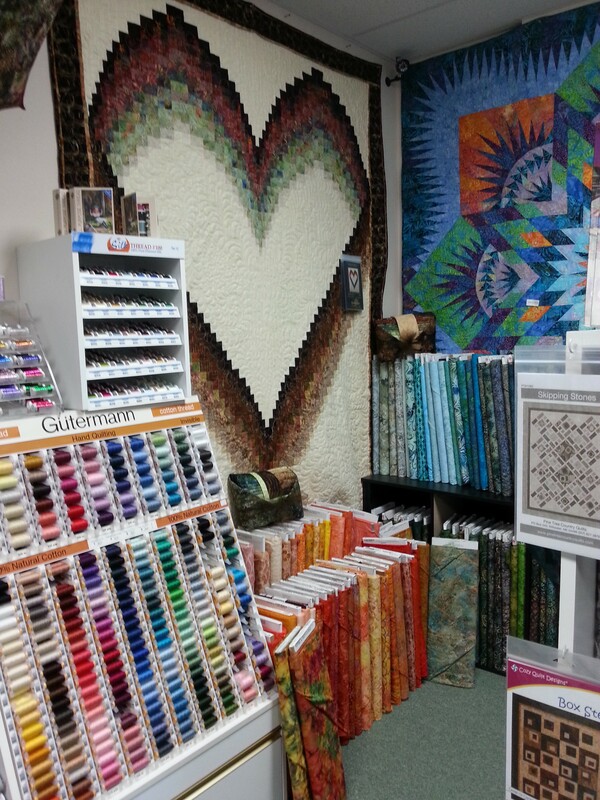 In September, I lectured and taught at the West Houston Quilt Guild. 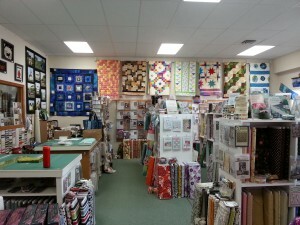 My workshop was held in the classroom of a large quilt shop, Quilt Works, (see a previous blog for a tour of the store). 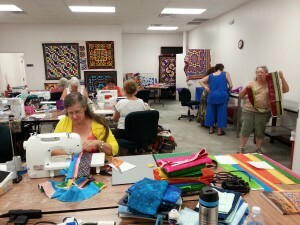 I taught my Bargello Quilts with a Twist workshop, based on my book of that title. We had plenty of space and good lighting and of course air conditioning (it was like a sauna outdoors with a temperature of 92 degrees F and very high humidity). 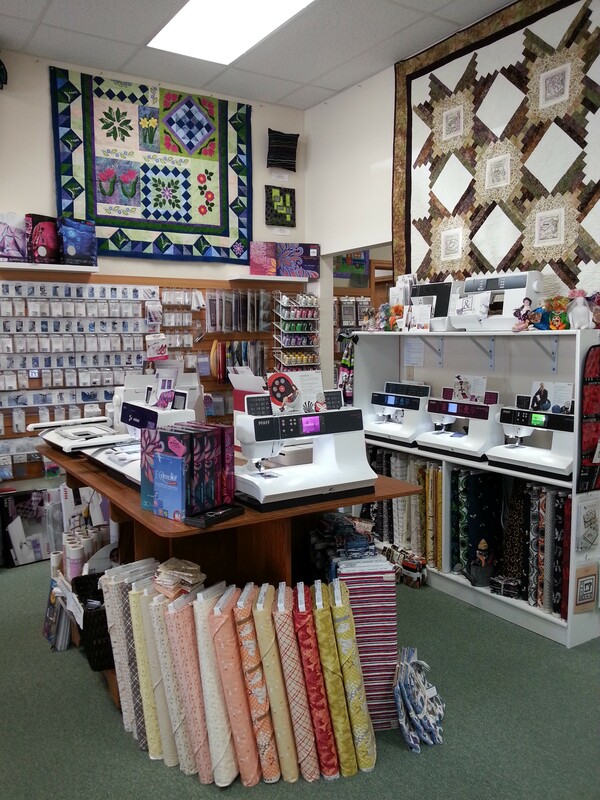 I always enjoy teaching at a store since it affords shopping opportunities for all of us and I can help my students select fabrics if they aren’t happy with what they brought to class. 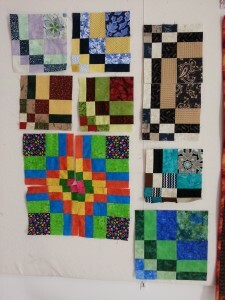 Everyone brings their own choice fabrics and we had a great variety of blocks. My students are always surprised at how different the each person’s blocks look and then delighted at how they can rotate the blocks and make many patterns. 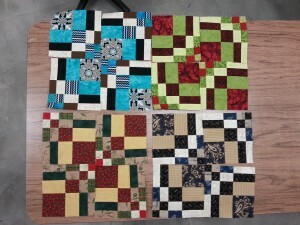 Here are some examples from the class. 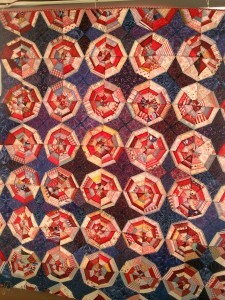 Sometimes my students send me photos of their completed quilts and I’m always glad to see these. My hope is that when the class is over, they will still be excited by the possibilities, understand and feel confident with the technique, and have a desire to finish the project. 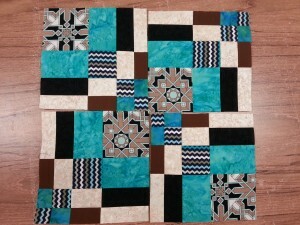 Some even go on to make more quilts from Bargello blocks. 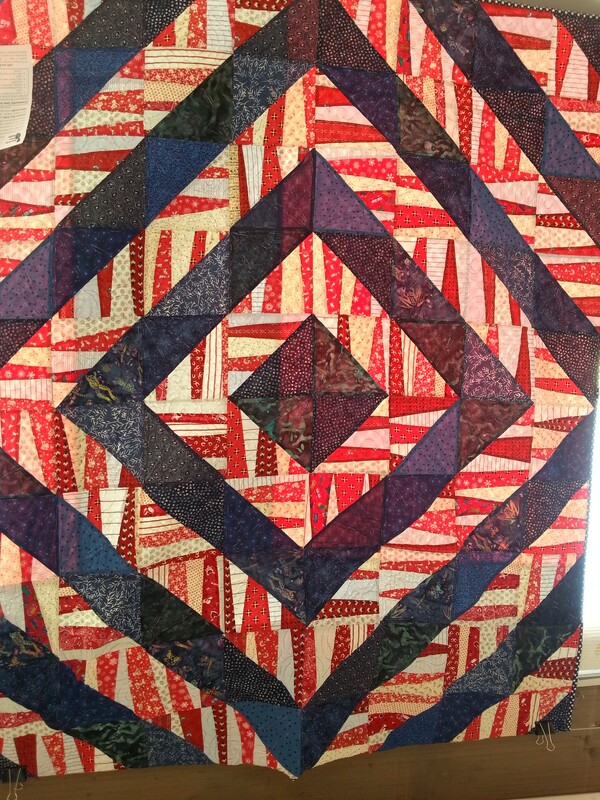 With Veterans Day coming up next week, I thought it appropriate to write a post about the American Hero Quilts project and to share four beautiful quilts that were displayed at our Bainbridge Island quilt show in September. 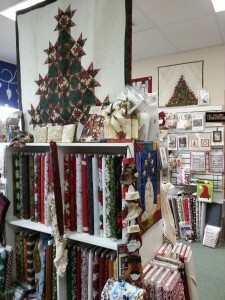 These quilts were made by a small group of dedicated volunteers who meet on the third Thursday of every month at Esther’s Fabrics from 7:00-9:00 p.m. Each year, this group creates 12-18 quilts, all of which are donated to wounded veterans at Madigan Army Medical Hospital and other military hospitals. 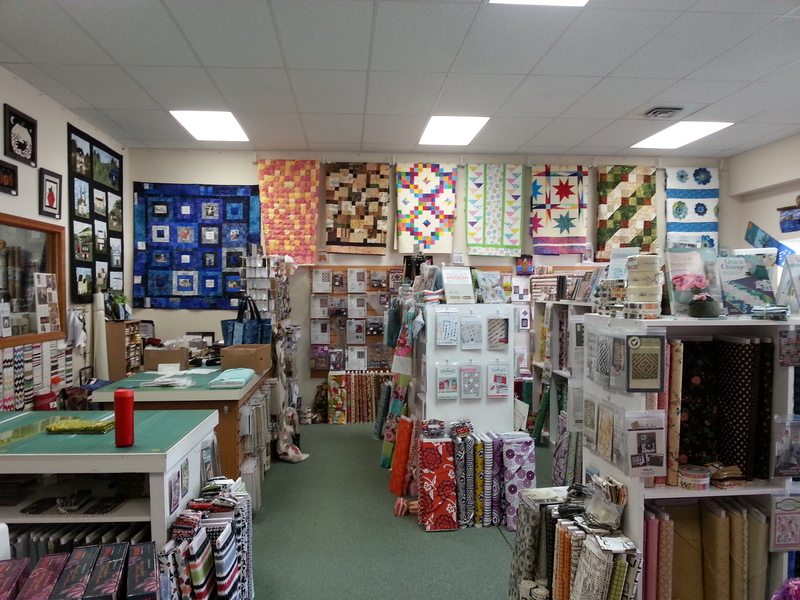 The American Hero Quilts Organization was founded in 2004 by Sue Nebeker from Vashon Island, WA, to give recognition and appreciation to our wounded service men and women who have served in the Iraq and Afghanistan wars. Each quilt is a metaphoric hug sending a message of gratitude for their service. 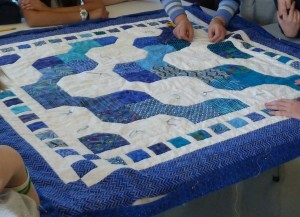 11 years on, over 800 volunteers have contributed quilting hours and made donations. 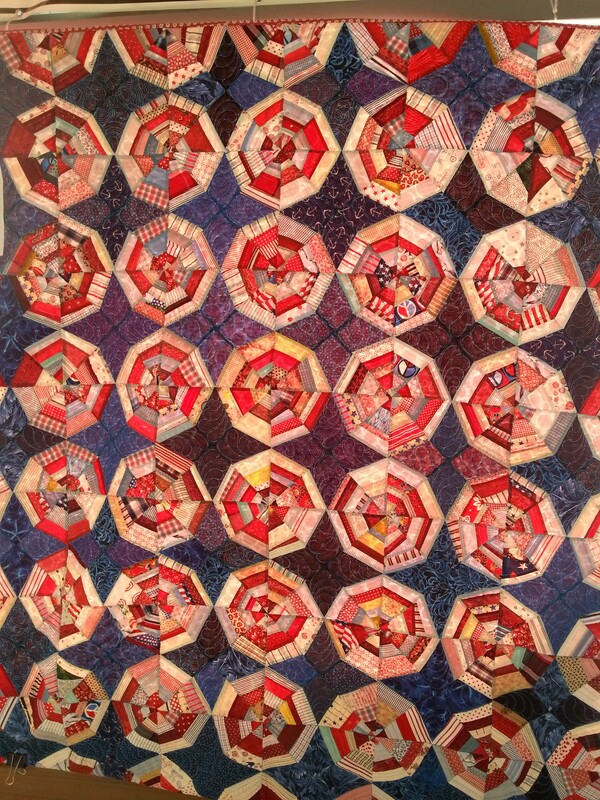 As of the beginning of 2015, over 17,500 quilts had been distributed to deserving men and women and their families. This is a tremendous project. Click on the link above to visit their website and see how you can help.